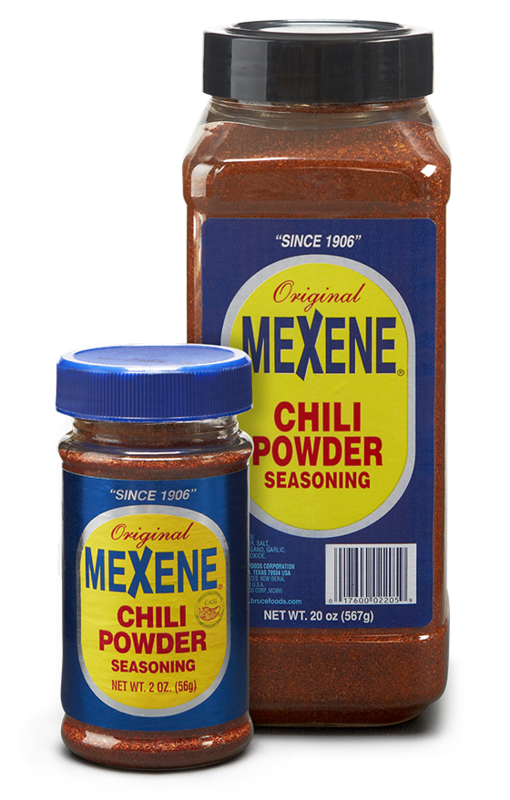 Our Mexene Chili Powder recipe hasn’t changed a bit since 1906. In fact, we still only use the best, sun-ripened, pre-frost chili peppers blended with our secret mix of cumin, oregano, and garlic. So do a little trail blazin’ yourself and discover the flavor that makes Mexene the chili powder of choice for real Texas Chili.